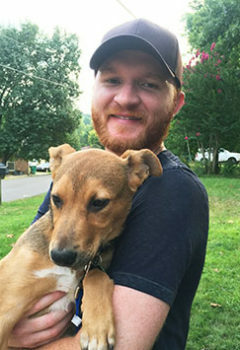 Eric Paslay is a Platinum-selling country music singer and songwriter based in Nashville, TN. He has celebrated numerous number one hits as well as ACM, CMA and Grammy Nominations for his work. An avid animal-lover, he and his wife Natalie have three rescue dogs named Beta, Solo and Little Max. When not touring, Eric and Natalie enjoy spending quality time cuddling with their pups.